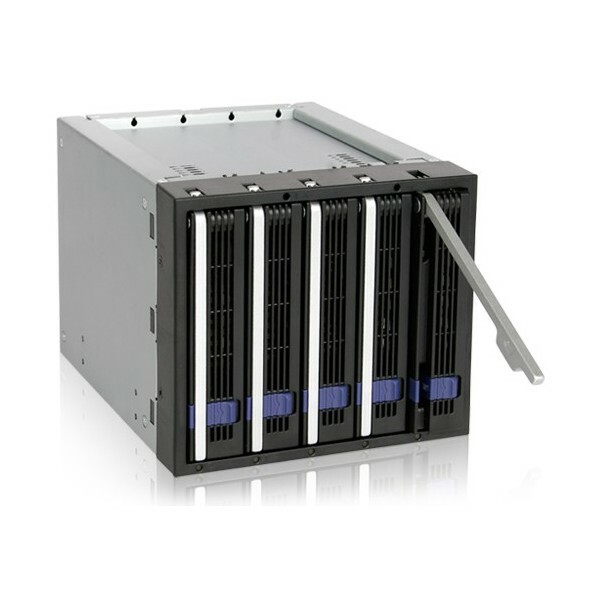 Introducing the FatCage MB155SP-B, a 5-in-3 SATA 6Gbps hot swappable internal RAID backplane cage. 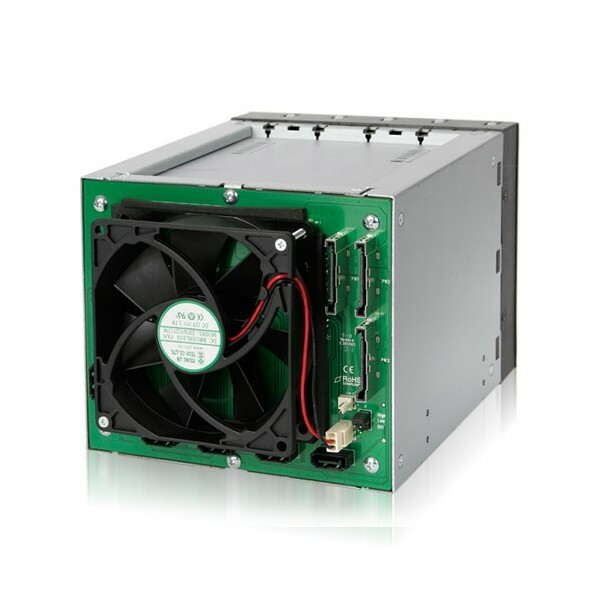 This is the lite version of the MB45X series by removing the monitoring features, increasing the cooling performance, and reducing the overall cost, while keeping the same 3 year warranty and the core tray system for hot swapping and maintenance are kept for the best reliability in the market. The MB155SP-B built to be a lighter module, while more importantly maintaining the same level of quality, build, and service you’d expect from an Icy Dock product. While the design has gone through some changes, the space saving design is still established. The backplane module allows up to a massive 5 x 3.5” SATA III hard drives, while only consuming three 5.25” bays. The FatCage has also been redesigned for the type of power connector accepted. 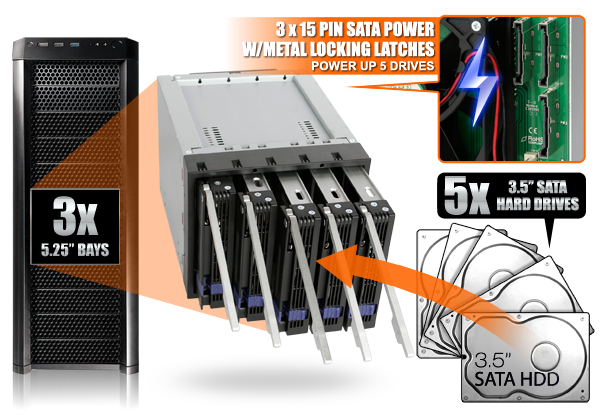 15 pin SATA power is used to provide better accessibility for most modern host systems. 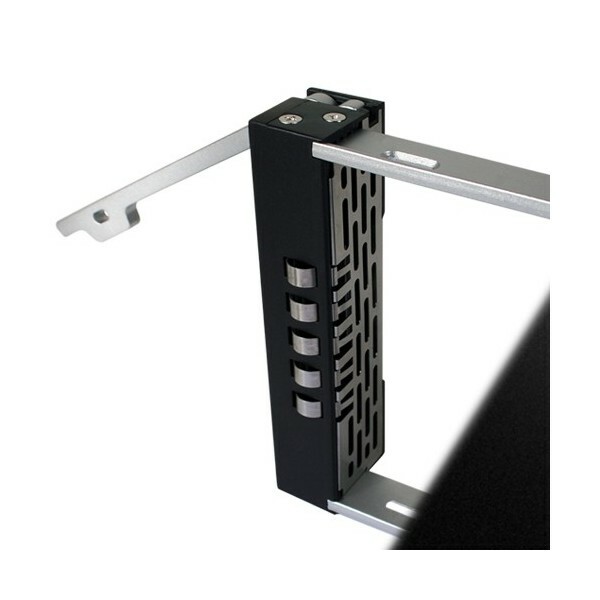 They are also compatible with cables with metal latches to improve security when installed into a system. Along with being a lighter package, the cooling has been redesigned to provide the utmost airflow to your hard drives. The FatCage uses a full metal body that allows for the effective heat dissipation possible in various types of applications. 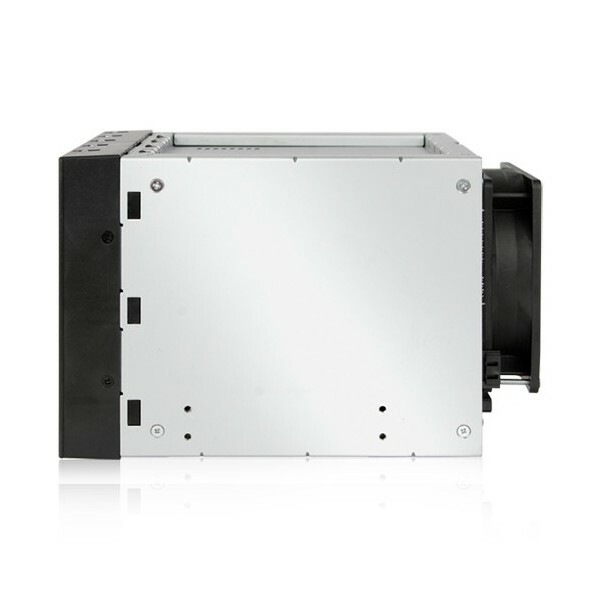 Meanwhile, our enhanced direct air flow design allows the included a large 92mm cooling fan to raise its efficiency to cool down your hard drives, by closing and rerouting most vents to route incoming air directly to the cooling fan. There are dual exhaust vents on the top and bottom to additionally help keep drives temperatures while improve airflow. 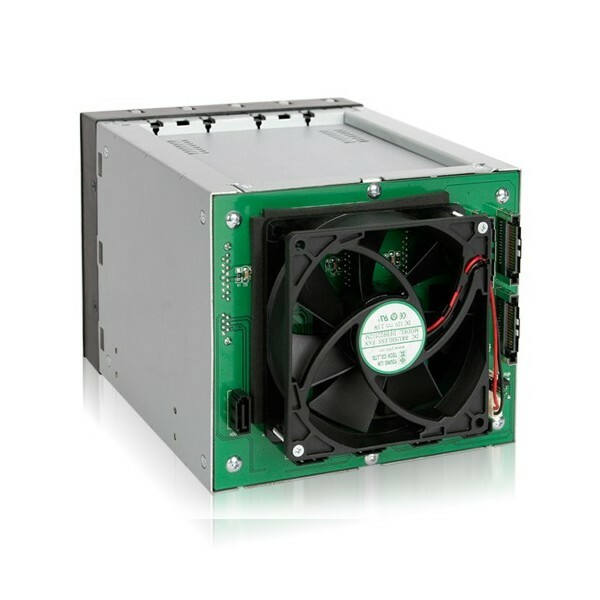 In addition, the backplane logic PCB has larger cut outs in key locations to allow more air to flow into and exit the MB155SP-B, making it an ideal system to store and cool your hard drives. 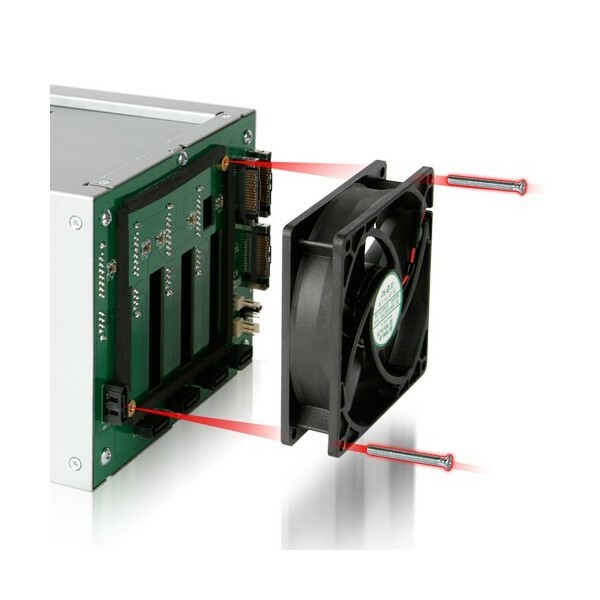 The included 92mm cooling fan is fully modularized for the most hassle free experience of replacing and maintaining and is compatible with most aftermarket cooling fans of the same size. To expand the range of compatible fans, both 2 and 3 pin fan power ports are available and are conveniently located for great accessibility. 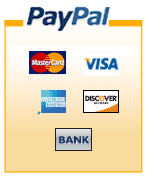 This provides the user the most flexible options available and freedom desired. The MB155SP-B has kept the same interchangeable EZ-Tray used in MB45X, MB876, MB559, and MB561 series. This allows you to continue to use the same trays from these series, or our compatible external 3.5” models without any issues regarding switching to new designs. The EZ-Tray accepts most 3.5” SATA hard drives and is very easy to install / remove to the device in two steps – press the release button and pull / push the lever. 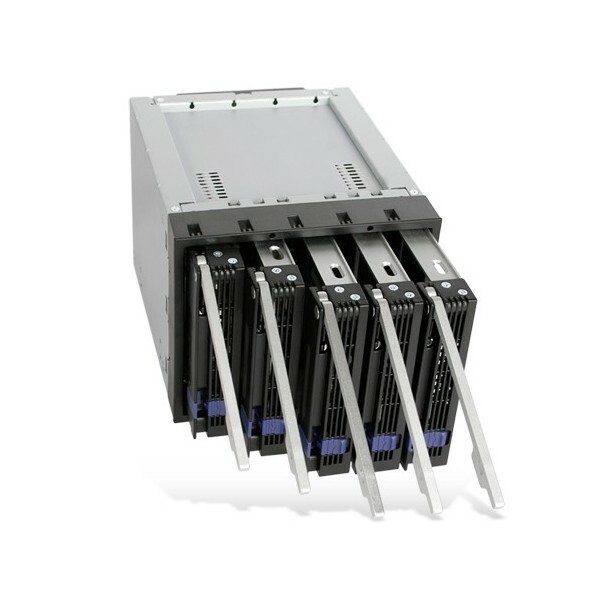 The built in rail system acts as the mechanism to ensure a fully secured connection every time. 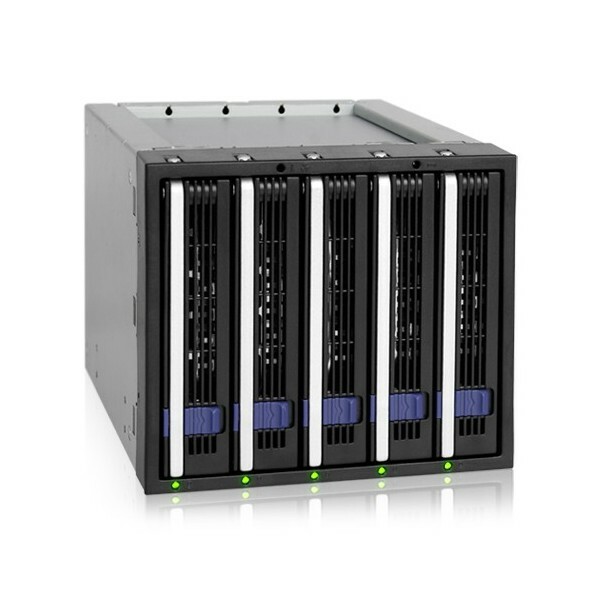 This allows for easy replacement in case of RAID failure or transporting of data. 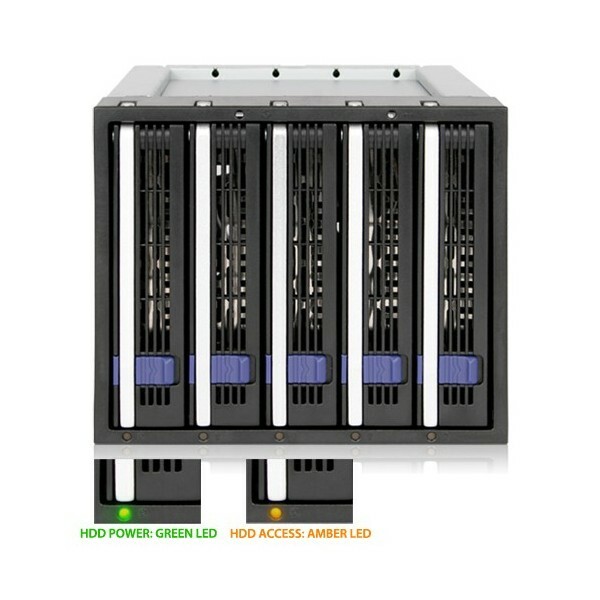 * 5 in 3 RAID backplane module. fully supports SATA Hot-Swap function. 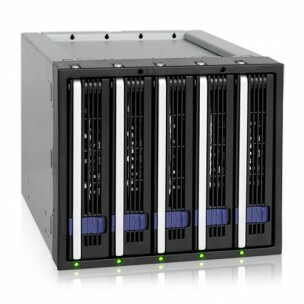 * Compact and space saving to fit multiple drives. MB45X, ICYBento MB559 & ICYCube MB561 series. 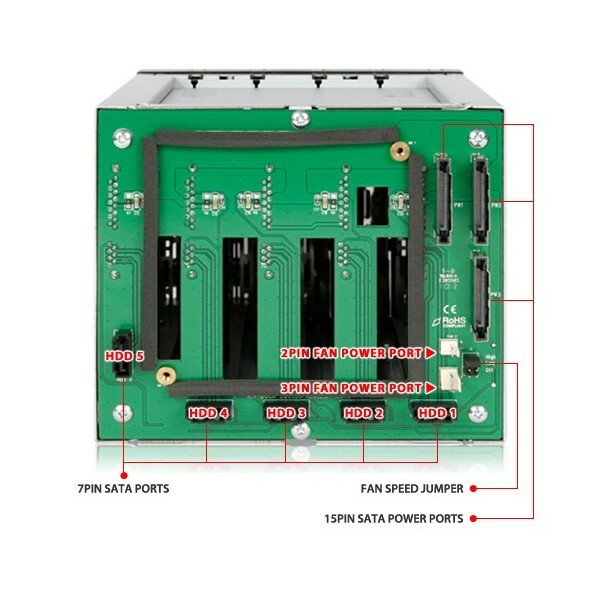 * Uses SATA 15 power ports for best compatibility with the newest power supplies. * 3 Mode Fan Speed Jumper of high / low / off (100%, 60%, 0%).